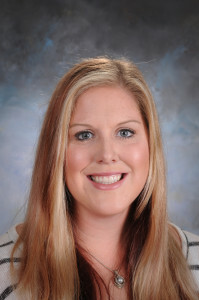 My name is Amber Matts and I have been teaching at Healthy Learning Academy for the past nine years. I am currently teaching 3rd grade. I enjoy having a personal connection with each one of my students while we learn each other’s strengths, weaknesses, interests, etc. There is no better feeling in the world, then when the “light bulb” comes on for a child who might have been struggling just moments before. I was born in Groton, Connecticut. I have also lived in Virginia Beach, Virginia and Orlando, Florida. I moved to Gainesville in 1993. My family and I have been here ever since. I attended Norton Elementary, Westwood Middle, and Gainesville High Schools. I then attended Flagler College on a basketball scholarship, but finished my Bachelors of Arts degree in Elementary Education at St. Leo University. I married my husband in October of 2014 and we enjoy drag racing, golfing, cars, and escaping to the mountains of North Carolina whenever possible. I can be reached by sending an “old-fashioned” note (which is such a treat sometimes), an email (amatts@hlacharter.com), or by telephone (352-372-2279).